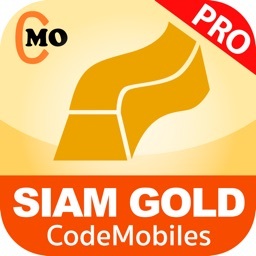 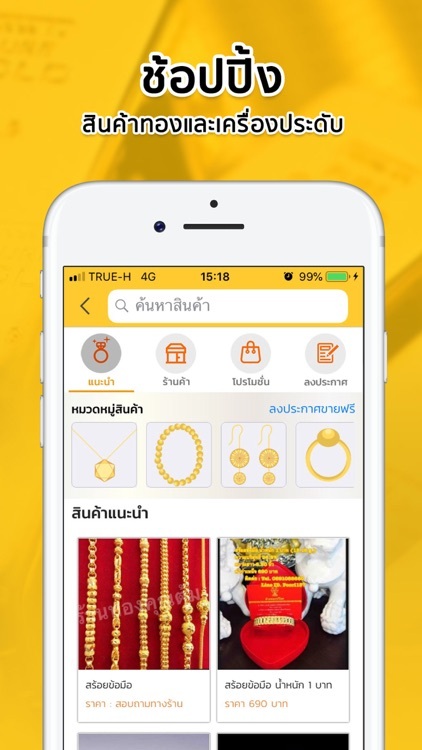 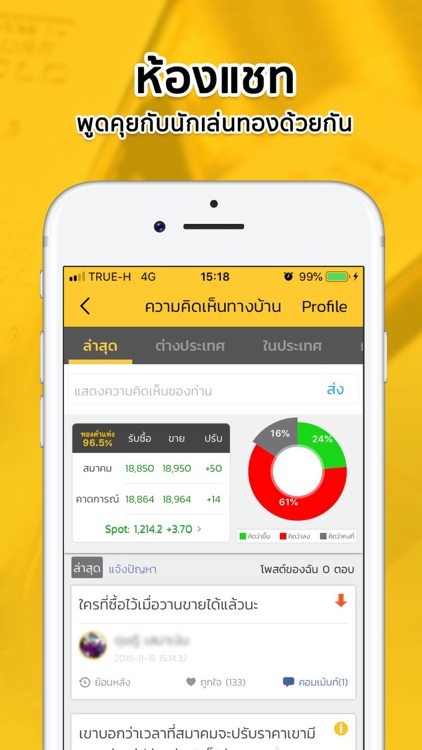 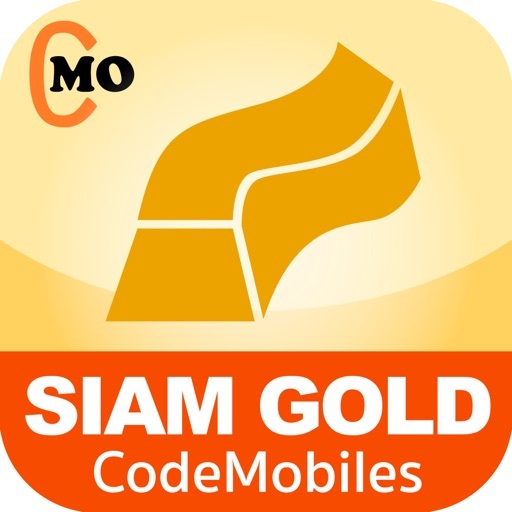 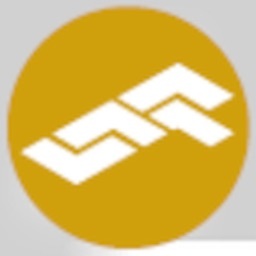 Siam Gold is an only application that helps you not to miss any valued data of gold trading investment and money exchange rates especially in Thai market. 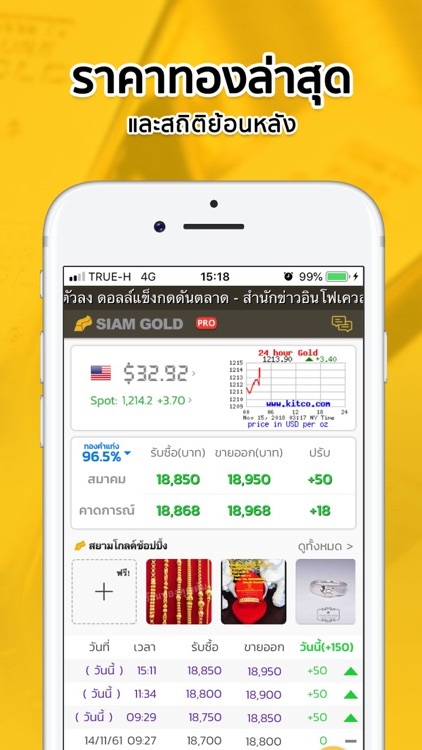 Siam Gold helps you monitor easily the prices of both gold bullion and ornament, as well as the prices change history. 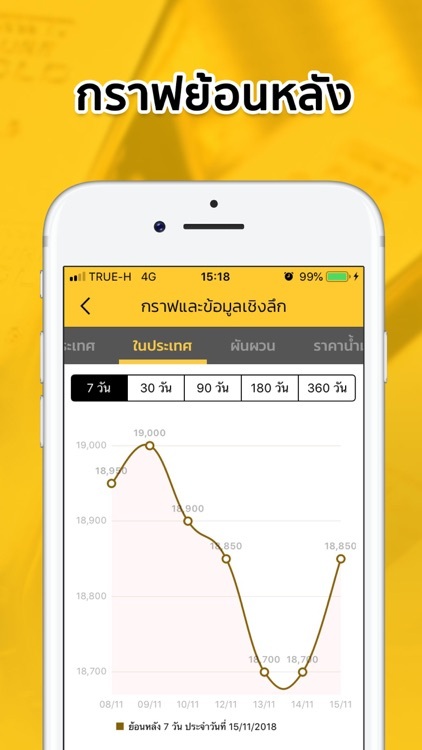 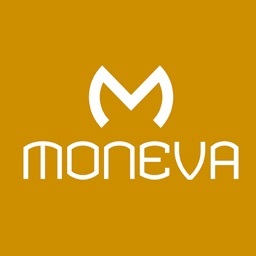 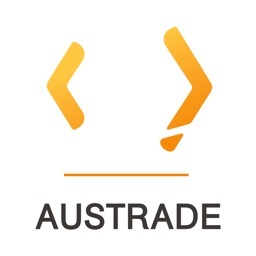 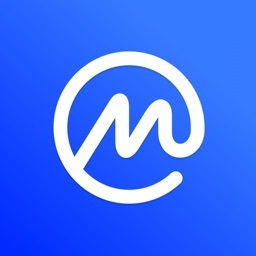 Moreover, it can show many analytical factor data useful for forecasting your investment such as gold spot graph and data in the world market.